Easiest way to do forensics investigations from files created by Thunderbird, Sea Monkey, Spice bird, Apple Mac, Entourage, Dovecot, Communigate etc is to use FREE Viewer and quickly view email message along with artifacts. Read Outlook OST file format with FREE OST Viewer tool and quickly open .ost files to see every message details. FREE viewer is forensically sound ost file reader and quickly reads ost file email meta data and decodes every email message easily. Even if your Outlook files are corrupt or damaged due to 2 GB file size limitation, this FREE Outlook Viewer can help you open, read and view your files without Outlook installation. Trusted and verified file format viewer tool. 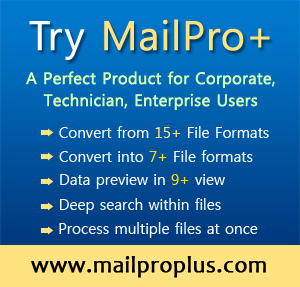 Open and read email messages saved by Windows Live Mail and Windows Mail in format with FREE viewer tool. The tool guarantees complete analysis of email data and attachments along with assurance of zero data loss. MS exported files can be easily read with the help of FREE viewer tool. Analyze files and its hidden forensic artifacts to get help in your email investigations. Find the one and only tool that meets all your forensic needs. The most convenient solution to examine MAC DMG file on Windows Operating System. Download the software to read and save the MAC OS X database file into multiple file formats such as MBOX, TXT & HTML. Deleted Data & Artifacts Recovery — Most of the evidence are found in deleted data or emails, so to carve out required artifacts you need to perform deleted data recovery or deleted emails recovery from mailbox files. Powerful Email Search — Most of the tools are equipped with advance search options which helps forensic investigators to quickly search emails in a faster way. Our collection of software tools allow you to perform data forensics in a reliable way.